I have one of my all time favorite polishes to share with you today. This is kind of my go to glitter topper when I have no idea what to do with my nails. 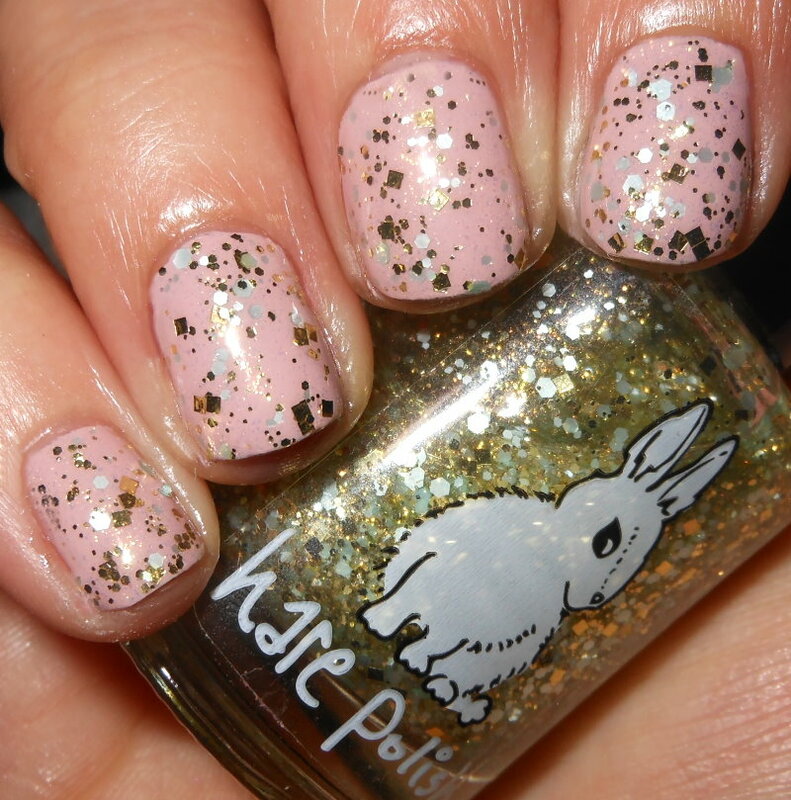 It's the perfect unique and beautiful color combination and it's made my Hare Polish! 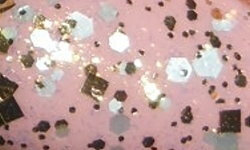 Dauphine of Decadence is a mix of gold and matte green glitters with a golden shimmer. Color: This is absolute perfection for me. This the most beautiful glitter topper. I love the mix of matte and metallic. The softness of the mint green with that rich gold. It's gorgeous. I adored this entire collection because so many of the colors made me think they were inspired by the Rococo art movement in 18th century France. I loved the art from that period. Formula: Excellent easy to apply formula. I used one coat over a base. Price: As far as I know this one isn't available currently. I'm not sure if that's forever, but I sure hope not. Sorry. Overall: I don't know what else to say. This is one of my favorite polishes of all time. I absolutely adore everything about it.